The DriveNow car-sharing service, a joint-venture between BMW and Sixt is less than 3 years old, it started June, 9th in 2011, but it has already gained more than a quarter million customers. The service is available in five German cities (Berlin, Cologne, Dusseldorf, Hamburg and Munich), as well as in San Francisco. It’s a bit like the Parisian Autolib, but DriveNow is very different from the French car-sharing services, because it uses much nicer cars. Many Bolloré Bluecars from Autolib in Paris are already showing severe signs of wear, and they’re barely 18 months old. Their interior also, has always been poor. Those cars were cheaply built, but that’s not the case of BMW and Mini cars. 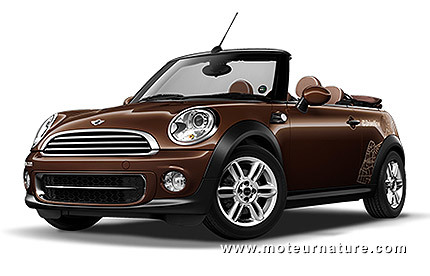 DriveNow proposes BMW X1 SUVs or Mini cabriolets which are nice and trendy. The only thing in favor of the Bluecar is its electric propulsion, but there are 70 electric BMW ActiveE available already in San Francisco. When BMW i3 will add some i3 models to the DriveNow fleet next year, it will grow even more, and we bet Autolib will have to get better cars to keep up with its German counterpart. The DriveNow fleet counts 2350 cars in Germany right now, and they’re all available with a simple smartphone app.